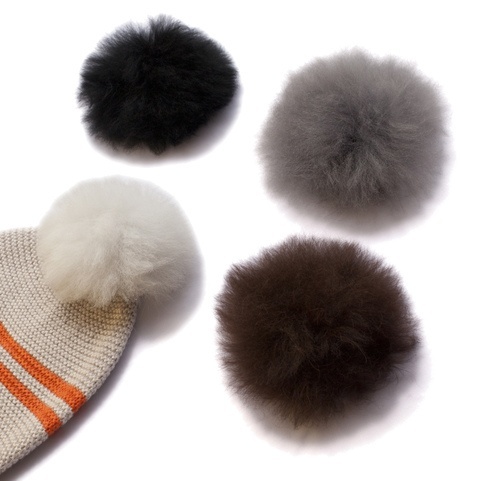 Our beautiful Alpaca Fur Pom Poms are the softest lightest pom poms you can imagine. You can see them, but you cannot feel them! Each one comes with a press stud attachment for you to sew onto to hats, slippers, bags, key fobs, scarves or to whatever you fancy!